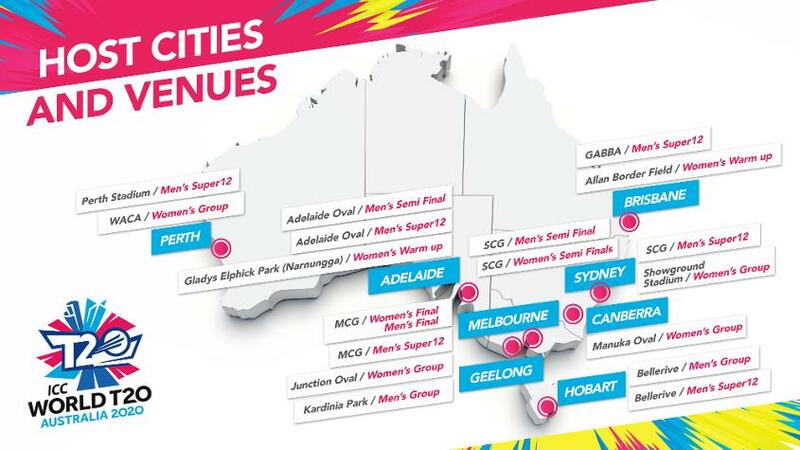 The venues and host cities for the ICC T20 World Cup 2020, which will be hosted by Australia, were announced today at events throughout the country. David Peever, Chairman of Cricket Australia and the ICC T20 World Cup 2020 Local Organising Committee said: “Australia is extremely privileged to be hosting the ICC T20 World Cup tournaments in 2020. 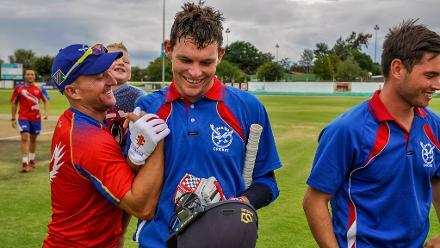 ICC T20 World Cup 2020 provides a unique opportunity to engage the whole community and inspire the next generation to love cricket,” Mr Peever said. ICC Chief Executive David Richardson said: “I’d like to thank Cricket Australia and their partners in Government at all levels for their commitment to the ICC T20 World Cup in 2020. The ambition they have shown firstly in delivering stand-alone men’s and women’s events and then in the venue selection that will, I hope set a record for the biggest ever attendance at a women’s sporting event, is exciting for the sport. Speaking in Melbourne, ICC T20 World Cup 2020 Local Organising Committee Chief Executive, Nick Hockley highlighted the benefits that would come from hosting T20 cricket’s showpiece event. 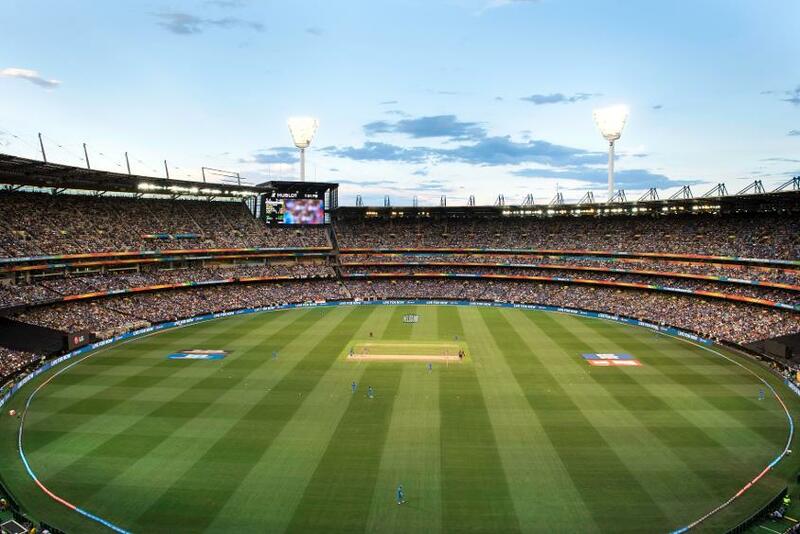 The ICC T20 World Cup 2020 takes place against the backdrop of a hugely successful ICC Men's Cricket World Cup 2015, which featured record crowds, broadcast audiences and visitors and the ongoing success of the Women’s and Men’s Big Bash. For full details about the ICC T20 World Cup 2020, and to register for tournament updates, fans encouraged to visit icc-cricket.com/worldt20. 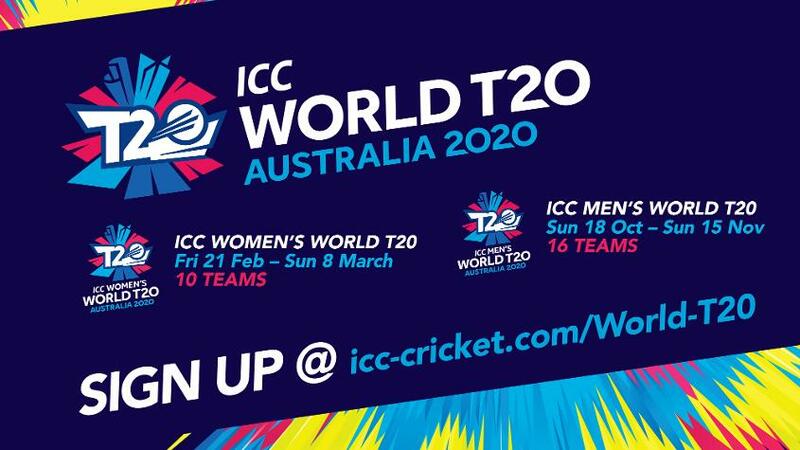 Fixture and ticketing information for the ICC T20 World Cup 2020 will be released in due course.